The last batch of summer squash of the season, plenty of my newly invented Presto Pesto Norwesto, some tortellini in the freezer that needed using, and my, perhaps unfortunate at times, penchant for having fun with words conspired to make me invent another new recipe last week. 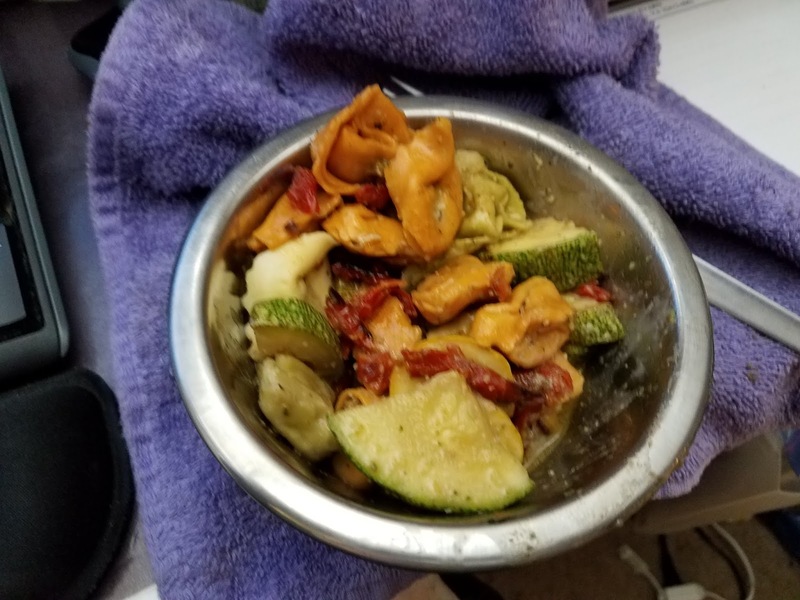 Introducing, Presto Pesto Squashta Pasta! This is a SUPER quick and simple dish, and if you're using a stuffed pasta containing a protein source, or if you throw in some leftover roast chicken, turkey, or any other sort of meat or meat substitute, you've got an entire meal in 15-20 minutes, tops! You can make this ahead and chill it as a pasta salad, or serve it hot. It tastes great either way. 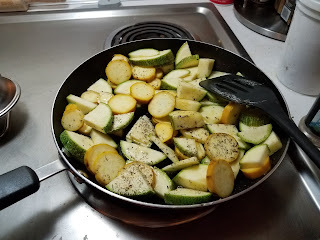 Meanwhile, heat olive oil in large skillet, add squash, sun dried tomatoes, pepper flakes, and spices and sauté on medium-high heat until squash is barely tender. Serve hot or cold and enjoy! Add meat or other protein source to make it a meal. Experiment with other spices to change up the flavour.